I think that this is a major problem when we look at Bible translations that are considered a “Thought-for-thought” translation. It is hard to produce a dynamic equivalent translation without at least some editorializing. The Theological preferences of the translator(s) is inevitably bound to come across even in the simplest and most straightforward of verses. I agree with you assessment about the blurring of the translation and commentary being a disservice to both, and also to the reader. With so many good, formal equivalent translations giving an easy to understand “word-for-word” rendering, I would never advise anyone to rely on the others as their primary translation. 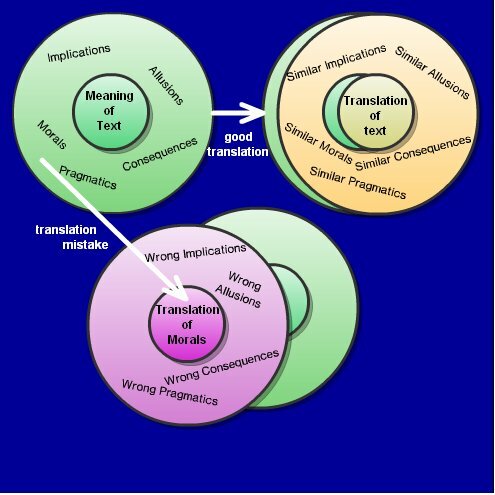 With so many good, formal equivalent translations giving an easy to understand “word-for-word” rendering, I would never advise anyone to rely on the others as their primary translation. Loren, thanks for stopping by. I’m not sure I agree. I think the false solution of “word for word” as an antidote to paraphrase is another disservice that has been done to Bible readers. I also think that frequently the “word-for-word” translations shine best when they abandon their alleged word-for-word philosophy. The “essentially literal” ESV does a reasonable job fixing the translation here: “So whatever you wish that others would do to you, do also to them.” But the translators changed anthropoi into “others” (rather than going with “men” or “people”), didn’t translate the word outos (“thus”), even they do translate it in exacly the same phrase 10 chapters later in Matthew 17:12 (“So also….”). And so forth. The ESV’s success here lies in abandoning a word-for-word rendition. There’s some question as to what exactly the original point was. The NRSV gives us “In everything, do to others as you would have them do to you.” If they’re right about “in everything” (as opposed to “do everything to others…”), then I think that that thought-for-thought translation is better than the ESV. And even if not, I think their approach is better here, because this strikes me as a sentence that cries out for a clear translation, not for a translation of its parts. Perhaps leaning toward the “word-for-word” translations is an overly simplistic approach, but to me it seems to be a matter of which style is preferable. There are, of course, some translations that seek to produce a sort of hybrid between formal and dynamic equivalence, but it becomes apparent when examining these that they are not without editorializing, as well. This is, in my view, the challenge faced when producing any type of translation, and that is: Which English term most accurately expresses what the writer is intending in the original language? This is not always as straightforward as it might seem. I find it remarkably frustrating that the Greeks endowed their language with such a great degree of specificity when it came to expressing certain ideas (consider the distinction between certain terms such as “phileo” and “agapeo” which denote differing nuances of “Love”), yet the ambiguity and interchangeability of the preposition “ek” has led to disputes over entire doctrines as well-intentioned interpreters seek to determine which English preposition most accurately conveys the intended meaning. Often times, this determination is made based on little other criteria than doctrinal preference and denominational background. So what is the answer, particularly for the linguistically untrained layman whose desire is to hold in his hand a single, accurate volume which correctly communicates to him the Word of God? Which type of translation best relates the original intentions of the writer, or better yet, the Writer (being the Spirit of God), unfiltered by denominational schisms, disputable dogmas, or capricious human preference? In other words, as your post title states, which translation style is the LEAST susceptible to editorial revision? Transliterations (such as Young’s or Darby’s) can be practical for those unfamiliar with the original languages, the text adhering more closely to the original, albeit at great sacrifice to the fluency of the narrative. But even then, the translator is forced to interject his own judgment into the translating by selecting how best to render each term into the vernacular. Even transliterations are not entirely without editorializing. To sum up what I am saying, let me just state that I personally believe that the answer lies in the application of sound hermeneutics in correctly determining the original intentions of the text. Etymological evaluation can be informative, but it must never subjugate contextual. Ultimately, it is the direct illumination by the Spirit of God which leads to “rightly dividing” the Word of God. Apart from this, we can never know the mind of the Lord (1 Cor. 2:16). Sound hermeneutics will insure that we do not stray from sound doctrine, nor that we enter into private, subjective interpretation; but if we are interested in correctly understanding what the Bible is saying, we must, above all else, stay in fellowship with the One Who wrote it. Thanks, Joel, for this very thought-provoking post. God bless you. So what is the answer, particularly for the linguistically untrained layman whose desire is to hold in his hand a single, accurate volume which correctly communicates to him the Word of God? But I “agree with your question,” in that I think it’s very hard to find a single, accurate, quality translation of the Bible. This is a little surprising in light of the enormous effort invested in Bible translation, and more than a little unfortunate in light of the Bible’s centrality. Wow. If I am honest, all of the quibbling over translation here makes me feel sick. “It’s very hard to find a single, accurate, quality translation of the Bible”??? You must be joking! Meanwhile there are over a thousand languages in the world where work hasn’t even been started on a translation. Quit quibbling about English translations and go translate the Bible for some people overseas who don’t have a lick of the written Word of God. Maybe then you will understand just how difficult translation really is. With regards to the word-for-word thing, I’d like to put my two cents in. Yes, I realize that the word-for-wordness of God’s Word is important. I believe in verbal inspiration and believe that the Bible makes a compelling case for it’s own verbal inspiration (such as arguments hinging on the tense of a verb or the number of a noun). However, at the end of the day, you have to realize that language is more dynamic then math. Yes, language has structure, formula, etc. But it also deeply transcends structure and formula in that its whole essence is the communication of ideas/meaning. Even a change in my facial expression as I say a particular sentence can communicate two completely different things with the same sentence. So while there is a place for word-for-wordness, it should not be at the expense of understanding the author’s intention. If that means that a figure of speech in Greek that is unintelligible when translated literally in English ends up being translated “pragmatically”; So be it! The important thing is that we understand God’s intention, the idea that he is trying to communicate to his people, the intention of the author. Not everybody is a scholar. Translations like the NIV have these people in mind. 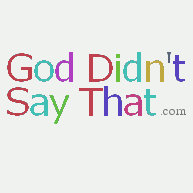 Translations like the NASB don’t. When it comes right down to it we need and should use both the word-for-word and the thought-for-thought. I’ve been blessed countless times reading through the NIV to find places where they have nailed the emphasis of the Greek. In fact, I didn’t even know those emphases were there because they simply didn’t come through in NASB’s often clumsy word-for-wordness. Other times I notice an emphasis in NIV and I’m suspicious and soon discover that it’s pretty unclear in Greek too and represents a best guess. What’s more important having it word-for-word and not being able to understand it all, or having an idea suggested of what it might mean? What about children? Do you expect them to be reading through commentaries and asking their parents countless questions that they can’t answer about why their “perfect” translation doesn’t make any sense? As much as I’d love to have all the beauty, poetry, rhetoric, metaphor, etc come through in the English in tact; it’s just not going to happen. There are other people in the world who don’t have the gospel or any translation of the Bible for that matter. So why don’t we put all that we do know about Bible translation to better use? Thank you for your detailed and honest comment. You are not the first the raise the objection that we should “quit quibbling about English translations” when so many languages have no translation at all. Still, I think that three points are worth emphasizing. First, frequently the errors in English translations are not as minor as some people make them out to be, so a lot of the work on English translation is not “quibbling” at all. Just to pick a recent example (read more here), I think it’s a big deal whether I Timothy 2:12 prohibits all women from teaching men or not. Secondly, I think that the lack of translations in some parts of the world shouldn’t stop us from getting better translations here, for two reasons. They will help English speakers better understand what they are reading, and — because many new translations start with an English translation — they will ultimately help many other new translations as well. Thirdly, there seems to be a belief among English readers that the English translations are accurate. (Just the fact that some people revere the KJV or the NKJV shows how deeply these sentiments run.) How accurate do people hearing, say, the Setswana audio Bible think their version is? I don’t know. But in my experience — for better or for worse — English speakers expect accuracy in translation. So unless we’re willing to give up the goal of accuracy, I think we have to keep working toward better translations. Good post, Joel. I wonder if there’s something theological influencing the translations of Mt 7:12. The exact same phrase, outos gar estin, is in Mt 3:3 – where most English Bible translators have pretty much what KJV does: “For this is.” Some will leave out the “for” and some will make the verb past tense. The law contains prohibitions against eating various kinds of food and doing certain activities on the seventh day of the week. It prescribes feasts and temple activities. To say that any or all of that is lumped into one saying, “love your neighbor” is doing a great injustice to common sense. And the prophets. They spoke of various calamities and what not. They declared God’s special love for Israel and Jerusalem. They pronounce a curse on those that violate the statutes of the law, or worship idols, or run to other nations for help. So it is clear that saying that these are identical, if that is indeed the import of the words, is shmaltzy and sentimental rather than a sound hermeneutic. They are apples and oranges. This was why I was thinking perhaps hOUTOS had something else in mind contextually. But the more I look, the more my ideas require hOUTWS, and there isn’t even a variant for that. It appears that Matthew and Paul were force fitting the ideas of the Rabbis onto their text. Of course, we can say that “the law” is the law of Christ, rather than the law of Moses, but that is hardly apparent from the context. My musings on Matthew 7:12 were because I find the assertion that “the law and the prophets” and “do unto others as you would have them do unto you” are identical to be patently false. I’m not sure that “is” implies identity, but I think the broader and more important point is that it’s not the job of the translation to resolve such issues. If the line is “patently false” in Greek — and I’m not saying it is false, but even if it’s false — then I think it should be in English, too. It seems to me that readers in English should be able to judge the content of the text without worrying that the translation has prejudiced the issue. Looking at the issue another way, can you really call something a translation if it takes text that’s false and renders it as text that’s true? I am “okay with” letting a difficult text stand as it is, but first I try to make sure that I haven’t missed some other way of looking at it. Many apparent difficulties have been resolved that way before. “Similarity,” which is what would be more sensible to my thinking, would require hOUTWS, rather than hOUTOS, no? And Paul’s writings seem to repeat the identity thing. Like I said, okay, if the rules have changed… but to say that the rules were never what they seemed? That the new “all-you-can-eat buffet” is the *same* as “blessed be God who has separated the clean from the unclean” is simply confusing, if not goofy and unacceptable.